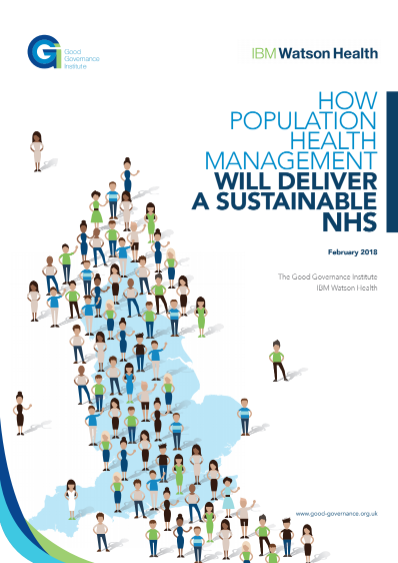 This report explores the potential of population health management to deliver a more sustainable version of the NHS by looking at what it takes to develop an integrated healthcare model, evaluating system maturity to embrace PHM, and drawing on case studies from both the UK and the US. Part of our mission at the Good Governance Institute (GGI) is to help boards have insight into the key strategic issues of the day. We have previously developed reports and assurance tools for boards on telehealthcare, long-term conditions and new care models. 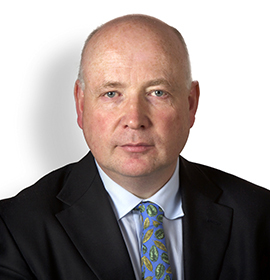 Population health management (PHM) has clearly become one such strategic issue and this is reflected in NHS England’s latest planning guidance for 2018/19. IBM Watson Health is a recognised global leader on population health management. In November 2017 GGI was approached by IBM Watson Health with a grant to develop an independent white paper for NHS boards on this topic. We have developed our thinking very much in collaboration with colleagues in the NHS, using an advisory board and around 35 interviews with those informed on the potential of population health management, and those connected to NHS boards who have no particular interest in the subject but who represent a typical range of NHS board members and their advisers. The paper was further developed at a round table of NHS, local authority and policy leaders held on 30 January 2018.